Lindsay Slaton has been singing since she can remember. Born and raised in Richmond, VA, and currently a resident of Waldorf, MD, Slaton has been in love with music since she was a little girl. Belting out tunes as a member of the children’s choir of Mount Hermon Baptist Church, she realized she had a gift for singing. 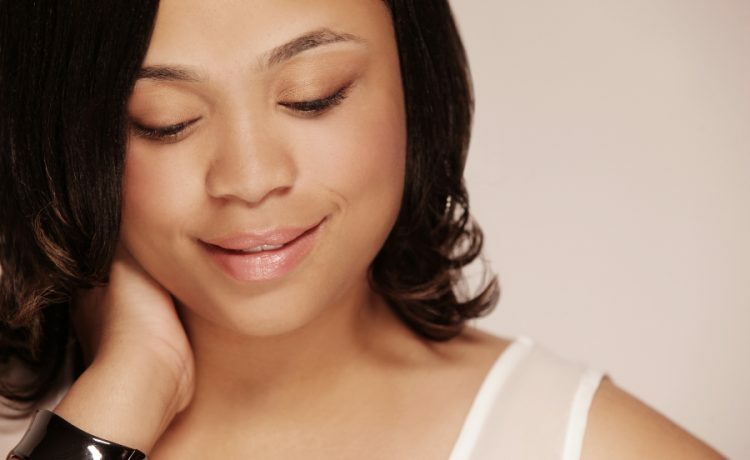 As she grew up, singing for the Lord took a backseat and she pursued an R&B career instead. Now with a renewed heart for the Lord and a life dedicated to His service, the songstress is preparing to drop her debut Gospel CD entitled Close To You in August 2013. Containing the title tune, a soft and meditative song, and the inspirational and melodic “I Know”, Lindsay’s first release is filled with songs perfect for the Godchaser. A prolific songwriter, Lindsay has dozens of songs under her belt. “Call On Jesus”, the project’s lead single, is a bumping and rhythmic track. Penned by the artist herself, the single is an up-tempo, hip-hop influenced song telling the listener exactly what to do if in trouble – Call On Jesus. The song is a favorite on a number of Gospel Internet radio stations. Produced by Eddie Hicks, Close To You includes songs that showcase Lindsay’s soulful and jazzy soprano vocals. 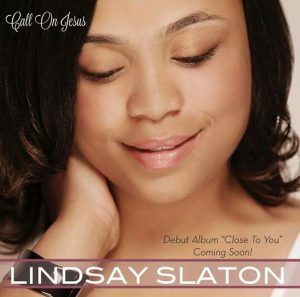 Lindsay Slaton began her R&B singing career at the age of 18. Signed to an independent label, she had high hopes of soaring up the R&B charts. But it never happened. Lindsay cried out to God asking Him why she hadn’t “made it” yet. It wasn’t until life dealt her several blows that she realized that God wanted her to sing His music. God bringing her through each and every trial gave her a new song to sing. Since that time, she’s honed her gift singing in a number of groups including “The Voices of Inspiration”, an ensemble she is currently a member of. In addition, she is a member of the Praise & Worship Team and the Director of the Youth Choir at Lighthouse Baptist Church in Waldorf, MD. “My goal is to reach someone every time I sing,” shares Lindsay. “To me, it doesn’t matter what type of success may come; I know I am doing the right thing and I am in the right place”. For more information on Lindsay Slaton, log on to www.lindsayslaton.com. She can be reached on Facebook and Twitter (@LindsaySlaton).